ZMD is a movie starring Janette Armand, Doug Fahl, and Cooper Hopkins. Life is wonderful for the people in the quiet, island town of Port Gamble….until a zombie virus outbreak! Storyline: Life is wonderful for the people in the quiet, island town of Port Gamble….until a zombie virus outbreak! My Review: After seeing this somewhere on Facebook, I thought that this was one movie I wanted to watch. Only because it had Russell Hodgkinson (Z Nation) as one of the main roles. Being a writer of horror, my viewing pleasure often gravitates towards films in the horror genre. Sometimes those films I watch are good, and other times… well… those should be be left on the cutting room floor…. And this film is another example where it should have been left in the editing room …. until the end of time…. In all honesty, and to be brief, this movie was a waste of time, a waste of talent and a waste of budget. For the reported $500K it cost to produce this film, the end result could have (and should have) been a lot better. No offense to the director and writer, but they could have used that half-mill to produce a feature film of substance and quality. The only redeeming points about this film was the acting ability of Janette Armand and Russell Hodgkinson. The only other movie that seemed to be similar was the 2003 Aussie film, Undead. If you want a move that will put you to sleep, then go ahead and watch this snoozefest. If you want to watch a film that is similar and much better, then go watch Undead (2003). At least that film was more entertaining. We’re thrilled to be hosting Robin Jay’s THE SECRETS OF THE KEYS Movie Blast today! Imagine getting a life-altering call from your doctor. That’s exactly what happens to motivational speaker and author “Elizabeth” in The Secrets of the Keys. Now, the inspiration she has used throughout her career to guide others comes back to her as she attempts to make sense of her situation. Elizabeth comes face-to-face with her spiritual guide, “Gwen,” who has an intriguing opportunity for her. Gwen takes Elizabeth on a mystical journey where they encounter impressive experts eager to share the importance of 7 Keys: Appreciation, Harmony, Courage, Passion, Faith, Vibration, and Empathy. Will she accept Gwen’s unique offer of a new kind of existence? This empowering and transformational film is both entertaining and beautiful . . . and will forever change the way you look at life. 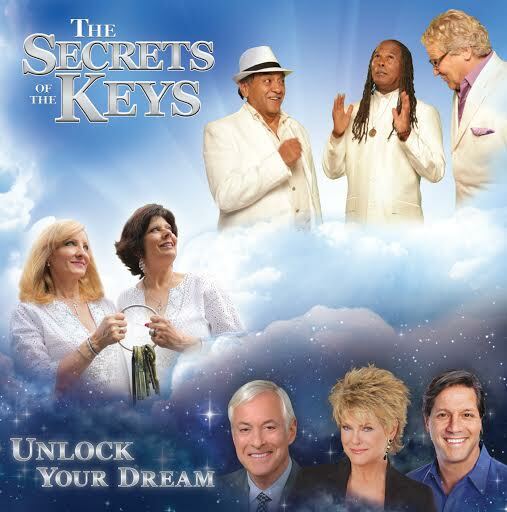 The SECRETS of the KEYS is available at Amazon. 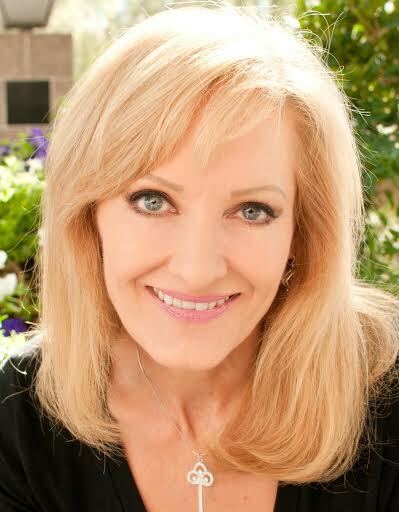 Robin Jay is an award-winning filmmaker, author, speaker, and publisher. She began her career in Personal Development as“The Queen of the Business Lunch™,” a Business Relationship Expert who shares the nuts-and-bolts of building profitable business relationships, with an emphasis on smart ways to network and socialize with clients. Robin’s award-winning book, “The Art of the Business Lunch ~ Building Relationships Between 12 and 2” (Career Press) is in 12 languages worldwide. She is also a contributor to “Chicken Soup for the Wine Lover’s Soul.” Robin has been featured internationally on MSNBC-TV, Newsweek Magazine, CNN, the BBC, the New York Times, The London Financial Times, Forbes.com and other well-recognized media outlets. coaches speakers to success, Robin also published “The Power of the Platform,” a series of anthologies that feature messages from today’s top motivational speakers, including Jack Canfield, Brian Tracy, and Les Brown. 2016 and immediately won awards, including two gold awards for Concept & Original Song from the International Independent Film Awards. Visit the movie on Facebook and Twitter. Robin is giving away 3 DVDs and 3 downloads! Please take a moment to stop by and check out the new web series “The Bogan Bachelor“. A hilarious comedy currently in production by Positive Dynamite and ASJ Publishing. The coolest reality show to hit the ‘net. Brought to you by the outstanding team at Positive Dynamite and ASJ Publishing. Directed by Justin Dalaya; Produced by Chris Jackson; With our awesome DOP Patrick Slee. Forget Farmer Wants A Wife.. Switch off The Bachelor… Tune in and watch the comedic episodes of one Fair Dinkum Ocker as he sorts the gals from the sheilas….